North Carolina's highest court is taking up a case that could force new competition on the state's electricity monopolies. 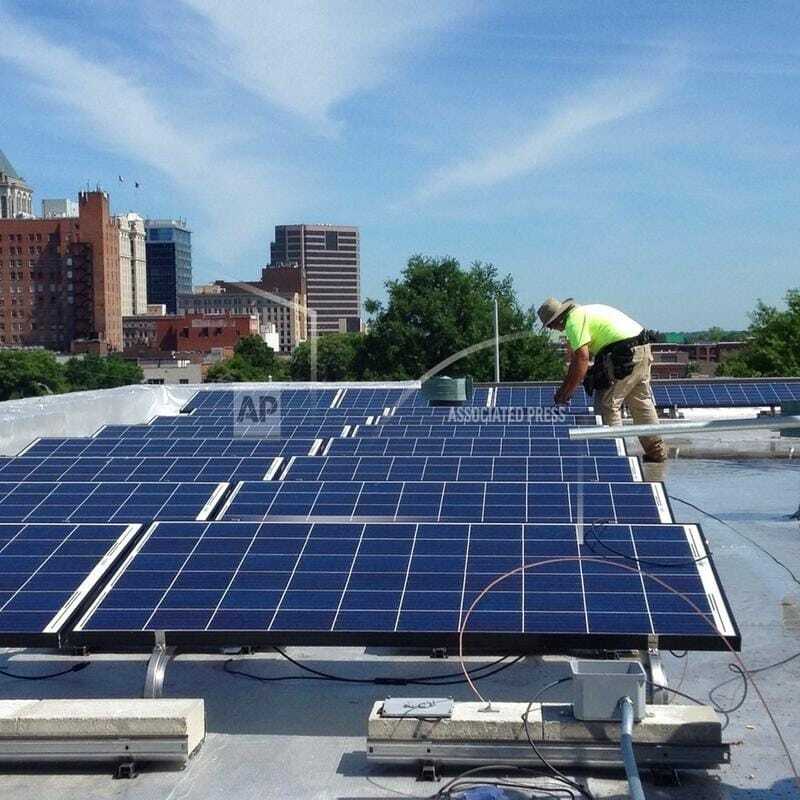 The state Supreme Court on Tuesday will consider the Utilities Commission's decision to fine clean-energy advocacy group NC WARN for putting solar panels on a Greensboro church's rooftop and then charging it below-market rates for power. If the group prevails, it could put new pressure on Duke Energy's monopoly. State regulators say a ruling for NC WARN would allow companies to install solar equipment and sell power on site, shaving away customers and forcing Duke Energy to raise rates on everyone else. That's because if NC WARN's deal with Faith Community Church is allowed, the precedent could open the door for others to lure away from Duke Energy "the customers with the highest profit potential, such as commercial and industrial customers with large energy needs and ample rooftop space," attorney Robert Josey Jr. wrote in a court filing. Losing those power sales would force the country's No. 2 electricity company to make it up by charging remaining customers more to cover the cost of all of its power plants, transmission lines and repair crews, wrote Josey, an attorney for the Public Staff, the state's official utilities consumer advocate. The dispute is whether NC WARN is producing electricity "for the public," which would mean it's intruding on the territory of the publicly regulated monopoly utility, or whether the move was allowed because it was a private power deal with the church alone. NC WARN installed the church's power panels in 2015 as part of what it described as a test case challenging Duke Energy's monopoly position to generate and sell electricity. NC WARN's goals included "reducing the effects of Duke Energy's monopoly control that has such negative impacts on power bills, clean air and water, and climate change," the church's pastor, Rev. Nelson Johnson, said in a statement the same day the clean-energy group asked state regulators to clear the plan. Instead, the North Carolina Utilities Commission ruled the arrangement violated the state's system of legal electricity monopolies and hit the group with nearly $60,000 in fines, which would be suspended if the church's payments were refunded with interest and the solar equipment donated. The group has set aside the money and will donate the gear if it loses the Supreme Court case, NC WARN Executive Director Jim Warren said. NC WARN's three-year agreement saw the group mount a rooftop solar array for which the church would pay about half the average retail electricity price, state officials said. The agreement states plainly that it is not a contract for the sale or lease of the $20,000 solar system, the church never owns the panels, and the low electricity price means its payback for the equipment would take 60 years, Josey wrote. "Clearly, the only thing of value (the church) is obtaining for its payments under this agreement is the electricity created," he wrote. In court filings, the group's attorneys have stuck to the argument that NC WARN isn't selling to the public because the deal involved a single customer only. The deal "is not open to any other member of the public ... A private, bargained-for contract under which only one party receives electricity is not a sale of electricity 'to or for the public,' " attorney Matthew Quinn wrote to the court.